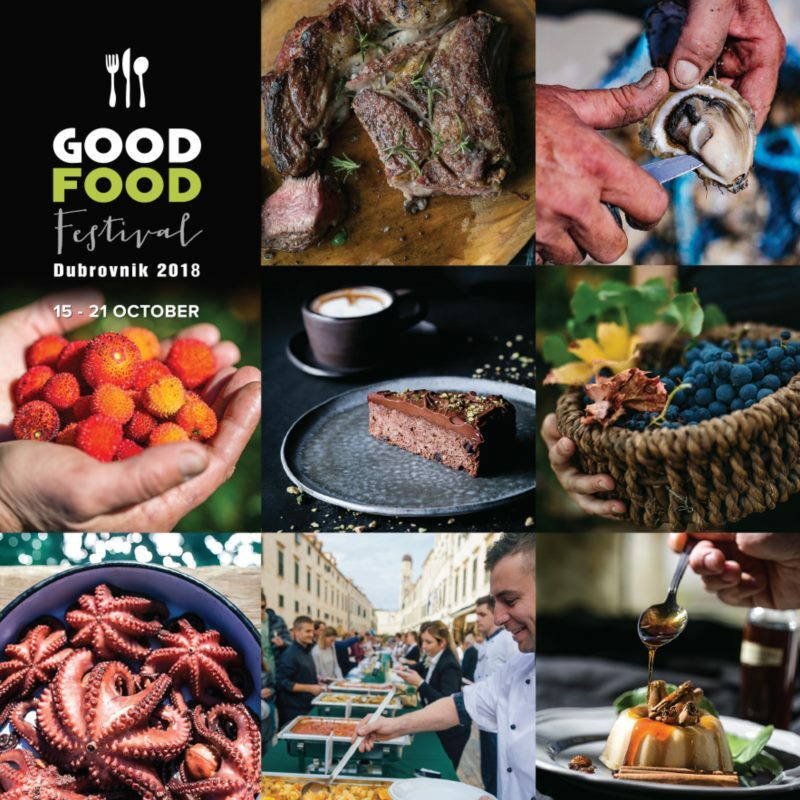 The Dubrovnik Tourist Board is organising the Good Food Festival once again this year – a gastronomic treat for all lovers of good food, which will take place from the 15th to the 21st of October 2018 and will feature numerous events. This year's fifth edition of the festival features a diverse assortment of delicious food and the best wines. During the festival, various workshops will be organised, such as a workshops on preparing traditional Dubrovnik desserts, traditional Croatian dishes, as well as a food styling workshop and a food photography workshop. The central event for all visitors of the festival will be dinner with a celebrity chef, which, apart from the gourmet program, will feature a music program that will add to the atmosphere. This year's Good Food Festival offers a rich program including interesting presentations, workshops, lectures, gastro tours, theme dinners and the traditional Healthy Goods and Homemade Goods Fair at Pile. The highlight of the Good Food Festival is the famous Dubrovačka trpeza, or Dubrovnik Table, that features a long table along the entire main street of Stradun, where many Dubrovnik hotels, restaurants, pastry makers and caterers will present their skills and creations. In line with a humanitarian focus, along with the Dubrovnik Table, the rich and varied brunch at Hotel Rixos Libertas will also be of a charitable character. We believe that this year’s Good Food Festival will bring together many lovers of original, traditional, but also modern dishes and will surely delight every visitor, just as it did in the past four editions of the festival.